. 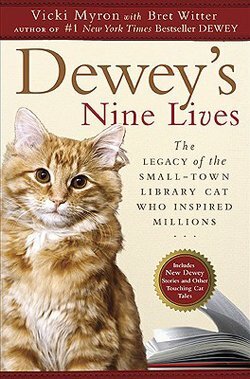 . . author of Cleo:The Cat Who Mended a Family. I am so excited to have had the opportunity to interview Ms Brown, as I loved Cleo and was very touched by her story. Q: How difficult was it writing about your son’s death? Did you find it therapeutic? A:I wasn’t keen to explore the depths of the emotional pain around the time we lost Sam. I was lucky to have a wonderful editor, Jude McGee, who encouraged me to dig deep and tell the story truthfully as possible. I have to confess there were days when I needed to take a deep breath before sitting in front of the computer. But then remembered pain is never as bad as the real thing – ask any woman who has given birth! All I had to do was think of who I was writing the book for – other parents who have lost children. Some mornings I could almost see their faces behind the computer screen. I owed a debt to the wonderful people who’d written to me when Sam died. Some of them had lost children and I gained more hope and comfort from them than any other forms of counseling that were available. 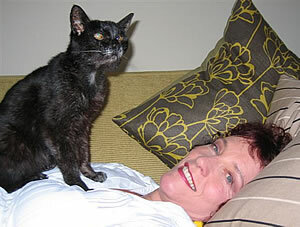 I hoped “Cleo” might help other grieving parents the way those people had helped me. I don’t think the story would have worked if I’d used it as a form of therapy. Outpourings are best kept sealed in private journals. My goal was to convey that it’s possible to survive tragedy and find happiness again – though most probably it’ll be a long journey. Q: What do you miss most about Cleo? I miss Cleo the way the British nation will miss Queen Elizabeth when she finally passes on. I miss being ruled over. I miss the way she terrorized fluffy white dogs, and shrugged off life’s indignities. She was a great role model. Q: Now that Cleo is gone, have you gotten a new cat? The rest is history. Jonah exploded into our lives. He’s vain, clumsy and dysfunctional….and a healer in his own right. We love him to bits. Q: Were your family and friends supportive of you writing a memoir? My family and friends are incredibly long suffering. They deserve sainthoods. 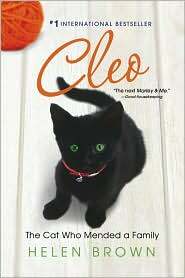 Philip, the children and my ex husband all read “Cleo” before it went to the publishers. Philip groaned a couple of times reading the manuscript but never asked me to change a sentence….even though he was certain he was going to get teased at work about being Philip with one “l”. I’m in awe of their generosity. Every one of them would write the story differently if they were telling it from their perspective. Q: Are you working on a new book right now? Another memoir perhaps? I’ve had so many messages from people saying they didn’t want “Cleo” to end, I’ve started work on a sequel. Jonah is providing more than enough material. Q: If you had to name your top three favorite books, what would they be? All three are masters at spinning life’s ordinary events into gold. **I would like to give a big thank you to Ms Brown for agreeing to answer all my questions!